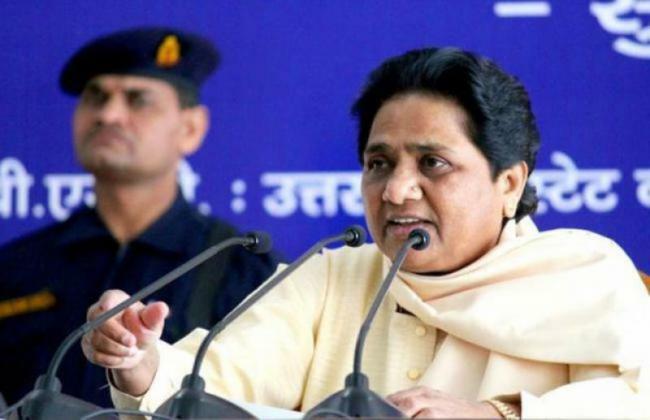 Lucknow: Former Uttar Pradesh Chief Minister and Bahujan Samaj Party (BSP) supremo Mayawati on Wednesday said she won’t contest the upcoming 2019 General Elections but will campaign for his party and ally Samajwadi Party (SP). “I won’t contest polls. I am confident that my party will completely understand my decision. Our coalition is doing well. I can vacate a seat and contest later if I wish,” Mayawati was quoted as saying by NDTV. Mayawati’s BSP has stitched an alliance with former Uttar Pradesh Chief Minister Akhilesh Yadav’s Samajwadi Party (SP) to defeat the ruling Bharatiya Janata Party (BJP). Congress has been kept out of the alliance. However, the SP-BSP alliance left the Amethi and Rae Bareli seats which are the Congress bastions. Though Congress left seven seats for the alliance, Mayawati stated she doesn’t require the grand old party to defeat the BJP. Uttar Pradesh is the state which provides the maximum number of MPs to the Lok Sabha. Out of 80 seats in Uttar Pradesh, BJP had won 71 in the 2014 Lok Sabha elections. BSP had failed to open its account.